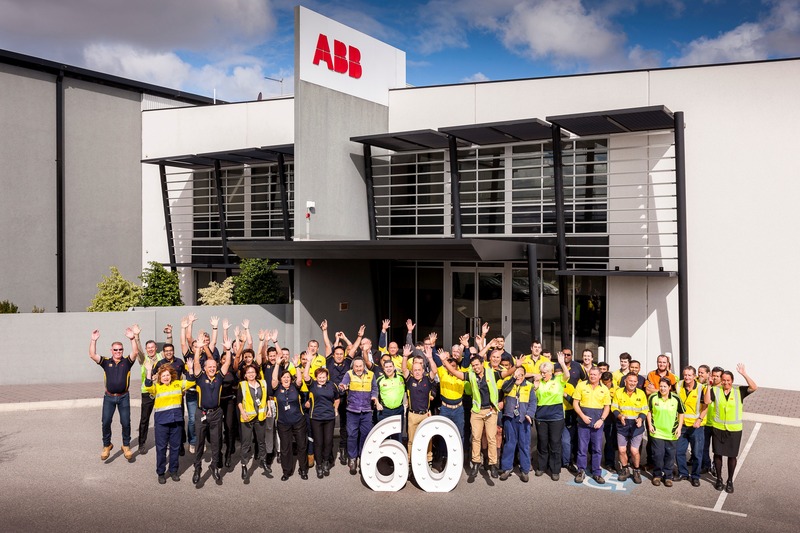 ABB, the leading power and automation technology group, has this week celebrated the significant milestone of 60 years of transformer manufacturing in Western Australia. Recognising the contribution high standard, locally designed and manufactured transformers have made to satisfying the requirements of Western Australia, ABB hosted an event at its Malaga factory, which included a guided factory tour of the 9,100 square-metre facility, which specialises in producing distribution transformers up to 10MVA and 33KV. The event highlighted the importance of local manufacturing and the key role ABB plays in supporting Australian manufacturing, not only directly through transformer manufacturing, but also through it’s diverse range of local suppliers. Copper and aluminium enamelled winding wire manufacturer CMP Controls congratulated ABB on the milestone. 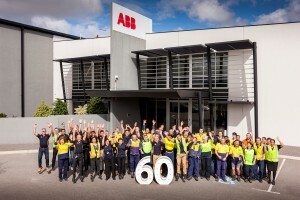 “On behalf of CMP Controls, we extend our heartiest congratulations to ABB Australia Pty Ltd for completing 60 glorious years of successful manufacturing in Perth, Wester Australia, 30 of such years of which we have been business partners, first as Atco Magnetic Wire and now as CMP Controls. Companies like ABB with a brilliant team of dedicated workers and with a friendly work environment can only aim for the highest results. Working with your company has always been a real honour,” said Steve Christodolou, CMP Controls. 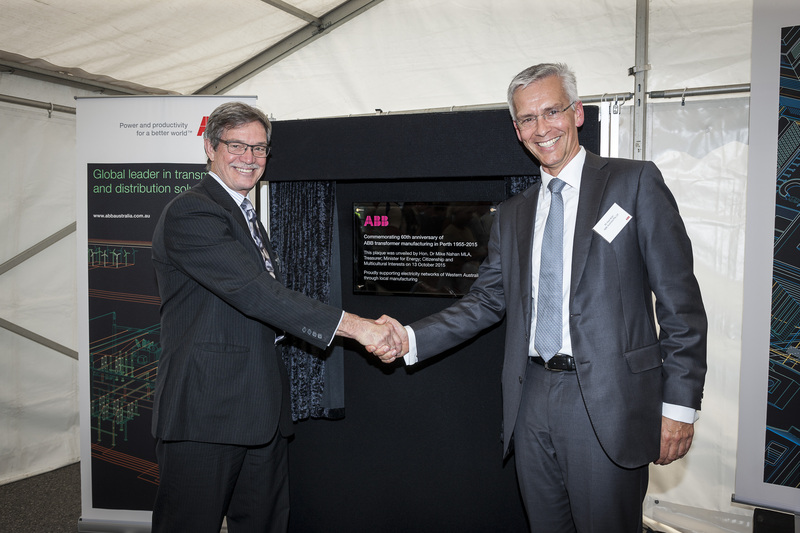 Guest speaker, state Energy Minister, Dr Mike Nahan unveiled a plaque to mark the milestone and noted he looks forward to the next 60 years of manufacturing for ABB Australia. The Hon. Dr Mike Nahan MLA, Energy Minister for Western Australia with Axel Kuhr Managing Director for ABB. Image: Supplied. Also present at the plaque unveiling was Paul Italiano, Chief Executive Officer of Western Power. ABB’s 60-year supply history has seen the factory successfully provide distribution transformers and services that have helped to develop one of the world’s largest and most isolated electricity networks, operated by Western Power. The plant has also built a strong reputation over many years for being a supplier of preference for transformers designed and manufactured to suit the rigour of long distance transport and the harsh operating conditions found in regional Western Australia.